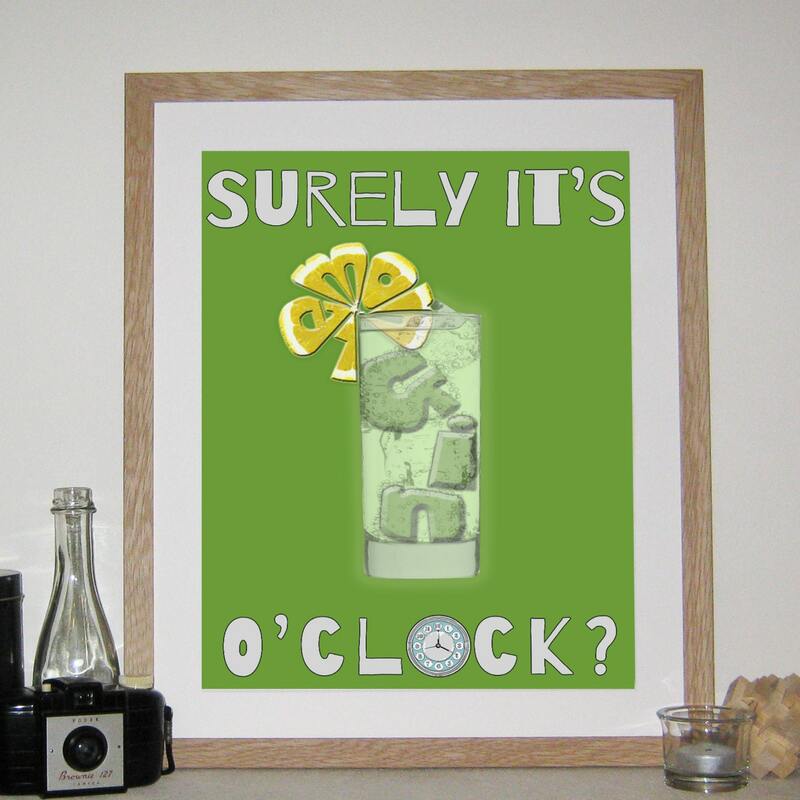 A humerous gin print which poses the question 'Surely it's gin o'clock?' with a Name Art design incorporating the words 'gin' and 'lemon'. The perfect gift for a lover of gin....only after gin o'clock - of course! The quotation says 'Surely it's gin o'clock?'. The prints are printed to order and and presented unframed. They can usually be dispatched in 3-5 days, but may be a little longer in busy periods. If you are in a hurry for it, please say and we will do our best to meet your requirements. Designs are printed on 235gsm, Satin Photo Paper. The colours Charis uses are sharp and vibrant and stand the test of time, looking great on any wall! The unframed picture will be dispatched in a sturdy cardboard tube and wrapped in turquoise tissue paper. Printed picture size: 30 x 40cm. There is an additional 2mm white border to assist you, should you wish to frame your print.